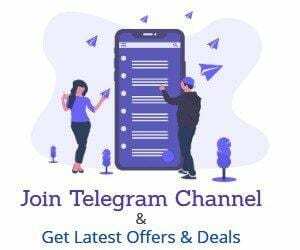 PayTM Add Money Promo Codes – Hello Friends in this post I am gonna post about PayTM add Money promo codes where you can get benefited with free PayTM Cash on Money load using PayTM. Below are All the current offers on PayTM Add Money. 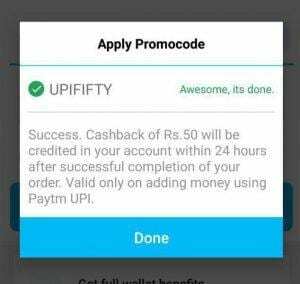 PayTM Add Money offer on UPI – PayTM is offering Rs.50 Cashback on deposit PayTM cash using UPI. You will get 1% Cashback on Money deposit upto Rs.50. This offer is valid for all users. So if you add around Rs.5000 You will get Rs.50 Cashback. TIP – If You have a Merchant account. You can instantly transfer the amount to Bank account so the cashback is yours for free. Now if You have PayTM App proceeds to Add money section. 3. Once you deposit, You will Get Rs.50 cashback. PayTM Add Money Offer – Paytm’s new Add Money promo code is here. 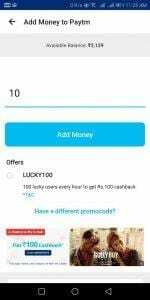 PayTM’s New add money code will give you a chance to win Rs.100 PayTM cash on deposit of Rs.100. This offer is valid for all users. 3. Once you deposit, You will Get Rs.100 cashback if you are the lucky user. 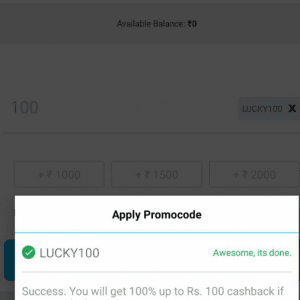 Hereby Lucky user means 100% Cashback for 100th lucky User. Valid on Rs.10 or More & Rs.2000 or less. Promo Code can be used any Number of times.